Are the Greatest Names in Paris Still Great? Fall 2019 has already come and gone . . . at least as far as the fashion industry is concerned. Hundreds of designers from A to Z have shown previews of their creations in transatlantic fashion shows with Paris as the grand finale. From Alena Akhmadullina to Zuhair Murad, from Russian furs and reptile skins to fancy fantasies inspired by female warriors of Japanese nobility. Names you probably don’t know. Not yet, anyway. A short cut to fame is easy if a designer is lucky enough to be hired to infuse youthful vigor into a name once famous but now tarnished. It’s not a new game. In 1983, the late, great Karl Lagerfeld stepped into the hallowed footsteps of Mlle. Coco Chanel, herself. His genius freshened the label’s then-stuffy style into a long-lasting legacy. 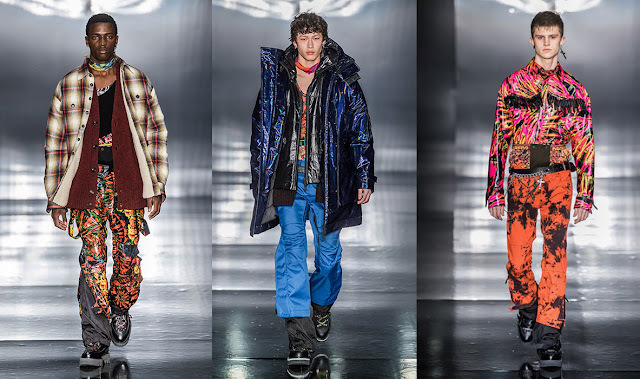 It would be impossible to reach a comprehensive overview of the divergent, disparate fashions that trod the world’s catwalks for fall 2019. The “big news” was the end of dominating casual/athletic/streetwear and the rediscovery of traditional tailoring. Surely the most influential collections come from the most renowned designers, the labels with a history. But the designers (or “creative directors” as they are now often known) actually responsible for creating the clothes are no longer the name. A brand, not a person. Four of the most famous names in fashion history are still visible, but are they viable? They each have a recognizable DNA, but that DNA is being rewritten. 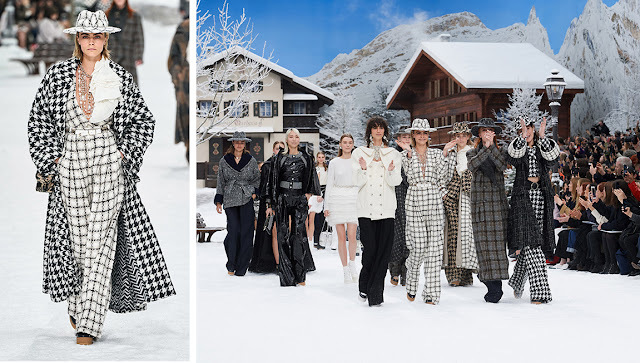 Chanel is to be designed by Virginie Viard, Lagerfeld’s right-hand assistant. But Karl, she’s not. 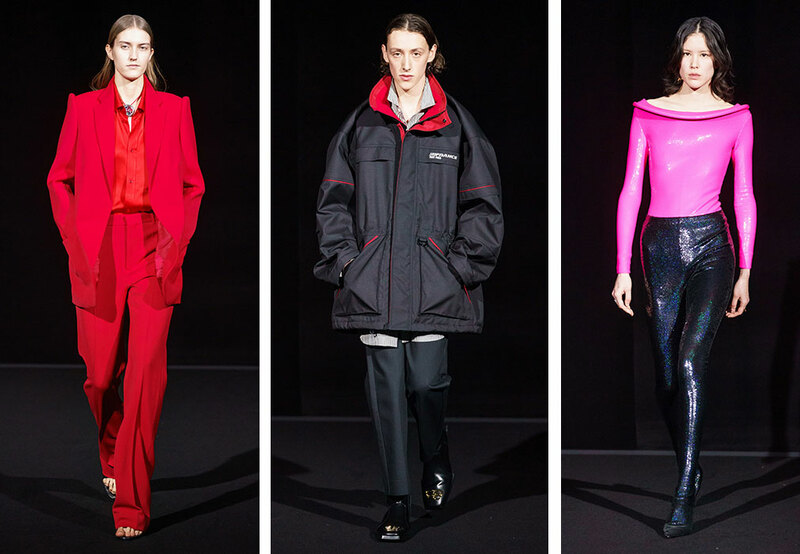 Balenciaga has abandoned elegance for cutting edge youthwear, ineptly designed by Demna Gvasalia. Yves Saint Laurent’s first name has been discarded and the mostly black, always extremely short reinterpretation of vintage Yves is now designed by Anthony Vaccarello. 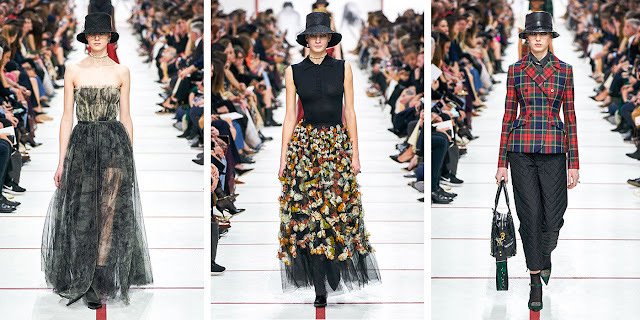 Christian Dior, long-gone since his early death after a spectacular 10 year career begun in 1947, has had a string of designers delivering interpretations of Dior DNA ultra-femininity. 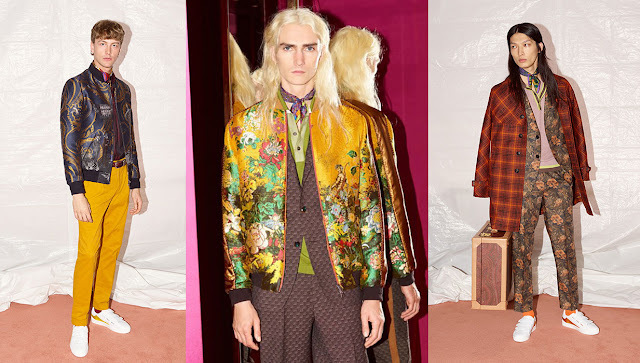 Now the global fashion juggernaut has a female, Maria Grazia Chiuri, presenting a message that embraces and exploits the Feminist movement. A review of the four most famous names reveals a rather vague relevance to the past glories of Chanel, Balenciaga, (Yves) Saint Laurent and Christian Dior. Alena Akhmadullina, young Russian designer of furs and reptile skins. Shown in Paris. Zuhair Murad, young Lebanese designer of lavish materials and ornamentation. Shown in Paris. Mlle. 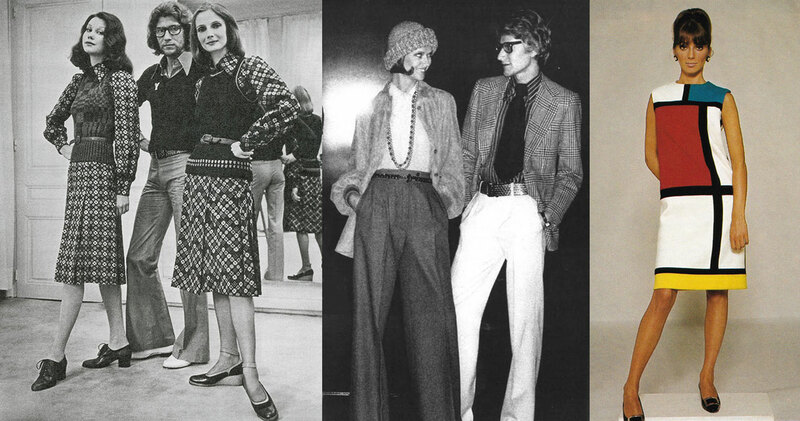 Coco Chanel herself plus vintage photos of classic Chanel tailoring. Chanel’s Paris show setting in a snow-covered fantasy Alpine Village for Lagerfeld’s farewell finale collection. 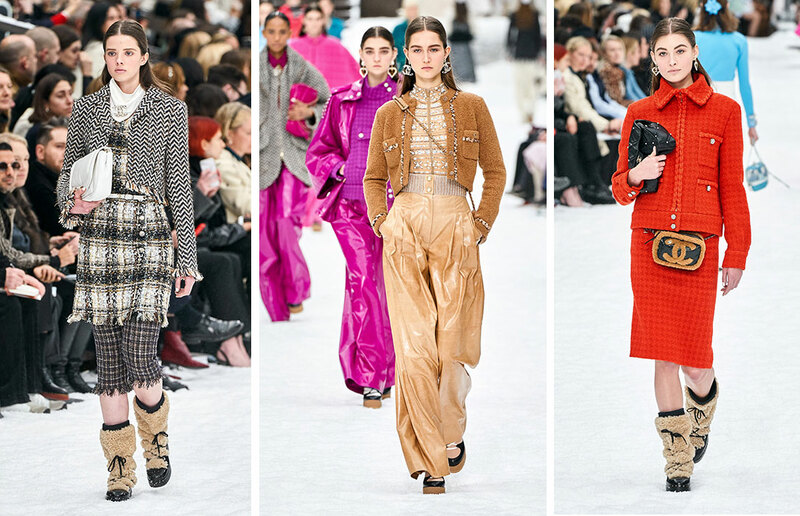 Chanel, referencing the great classics, tweeds, cardigan jackets and tailored suits reinvented again and again. Christian Dior's signature "New Look" ultra-femme designs of the 1950s. Today’s new looks acknowledge the rich legacy of Dior’s genius. 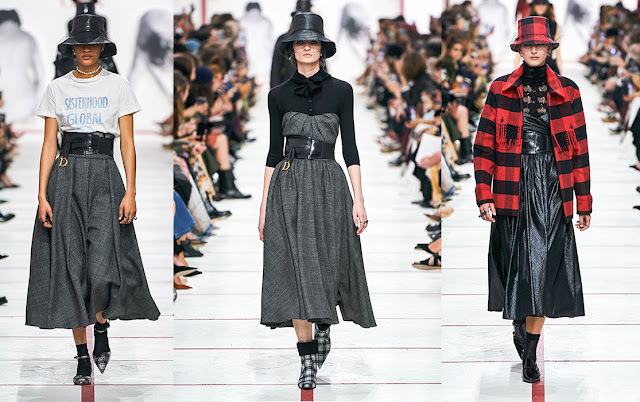 Inspired by current Feminism rather than Dior’s history of frivolous Femininity. 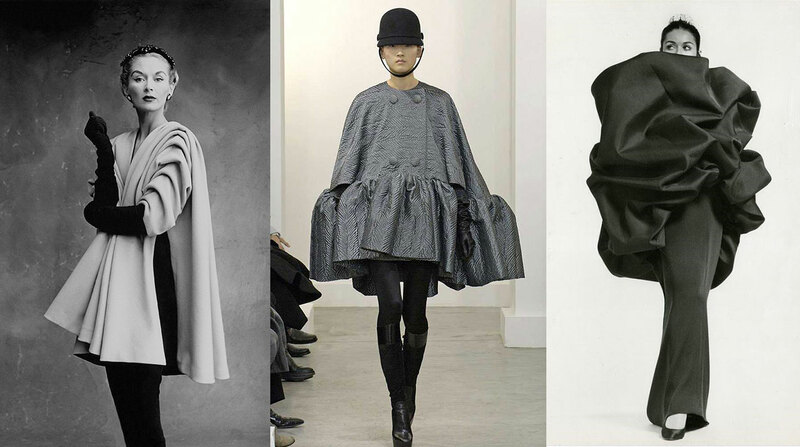 Cristobal Balenciaga was considered the shape shifter of ‘50s Haute Couture. 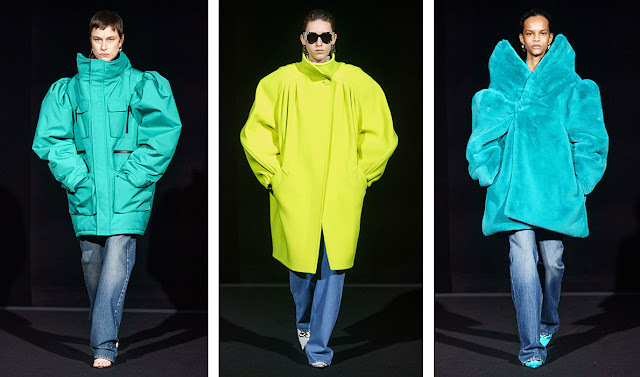 Designer Demna Gvasalia obviously raided the archives for original Balenciaga shape inspiration. Mod Cred (Modern Credibility) that ignores the elegant artistry of Balenciaga history. (Yves) Saint Laurent was the kingpin of wearable trends during the 1970s and ‘80s. 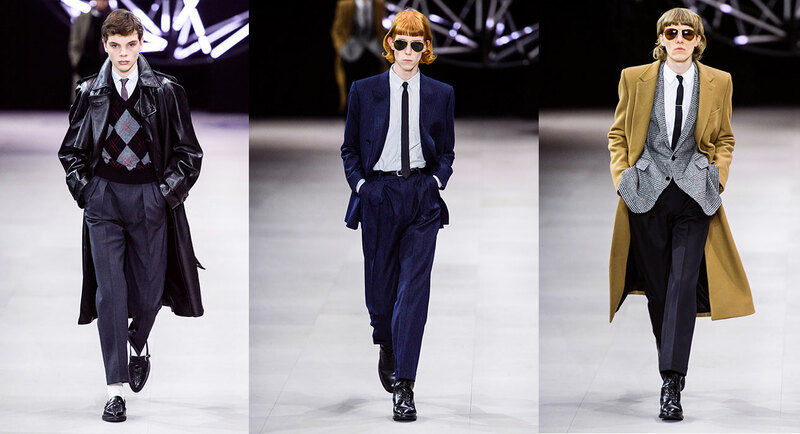 Today's Saint Laurent simply updates the sophisticated style of Yves' original vision. 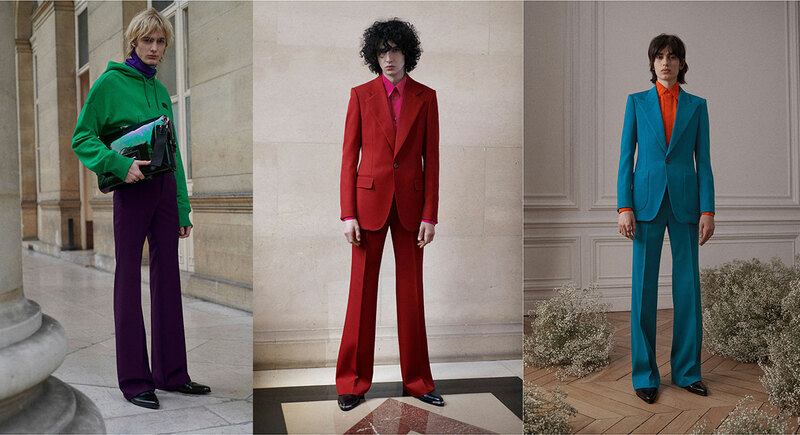 Today’s Saint Laurent offers a sexier reinterpretation of Yves’ fantastic imagination. Coloring the Greatest Child Star Ever! This month’s coloring book fun doesn’t feature one of the usual glamour girls like Betty Grable. 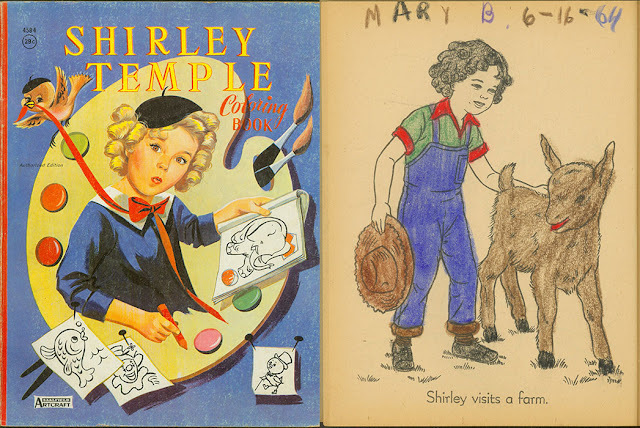 Shirley Temple is the subject of a cute little book that shows the tiny mega-star doing all sorts of wholesome fun stuff like gardening, swimming, playing with toys, dolls, making lemonade and performing. The book was a gift from Jenny Taliadoros and previously owned by Mary B. who colored a couple of pages in 1964. I wonder where Mary is now. Little Mary colored Shirley’s ringlets pitch black! Shirley was born in 1928, made her film debut at age three, won a special Juvenile Academy Award in 1935, saw her stardom wane when she was a teen and retired in 1950 at age 22. She then became a diplomat, ambassador to Ghana and Czechoslovakia and Chief of Protocol for the United States. Twice married and the mother of three, Shirley died in 2014. She won many awards and honors including being 18th in the American Film Institute list of great screen legends. Shirley Temple coloring book published circa 1964 and a page colored by previous owner, Mary B. Pages colored by me, 55 years after little Mary’s black-haired Shirley. I am working on a new paper doll book for Jenny Taliadoros’ Paper Studio Press. “Retro Hollywood Fiesta!” will be published later this year. It celebrates the fashion impact made by President Franklin Delano Roosevelt’s “Good Neighbor Policy” wherein the U.S. government encouraged travel, imports/exports, business and publicity for countries South of the Border with a focus on Mexico. Hollywood took notice of the governmental interest and produced a spate of colorful, musical movies. The titles tell the tale: Down Argentine Way, Week-end in Havana, That Night in Rio, Mexican Holiday, Nancy Goes to Rio and of course, Fiesta! Carmen Miranda evoked the spirit of Brazil with her zany tutti-fruitti turbans and fractured accent. 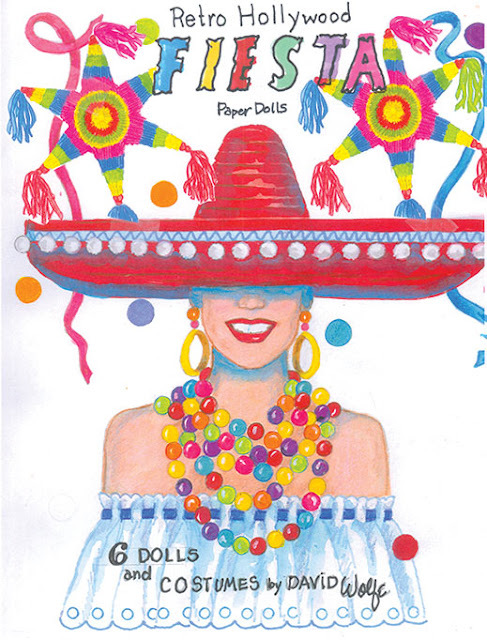 “Fiesta!” will have 6 paper dolls with costumes from the films: Betty Grable, Esther Williams, Jane Powell, Judy Garland, a Chorus Girl and Carmen Miranda. Keep watch for the Fiesta! Coming soon. It is interesting to note that none of the hits were filmed on location. All were filmed in the studios, sometimes with a travelogue clip inserted. That’s Hollywood, then. Fiesta!” front cover mock-up, a work in progress. 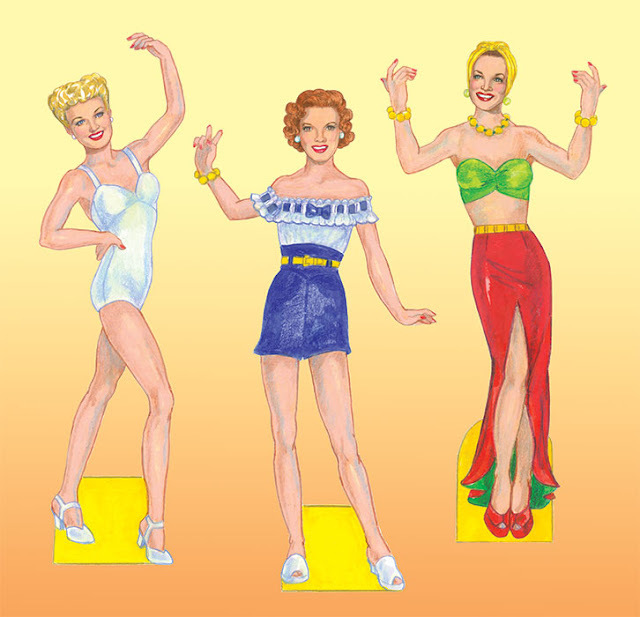 “Hollywood Fiesta!” paper dolls: Betty Grable, Judy Garland, Carmen Miranda. “Hollywood Fiesta!” paper dolls: Esther Williams, Jane Powell, Chorus Girl. The 2018 Grammy Awards show was a surprisingly glamorous show with sophisticated fashion in the spotlight. Gone were the usual rocker chicks, replaced by fashionista rappers who dare to wear cutting edge, high fashion looks. Many of the stars took advantage of the attention given to fashion coverage of the evening and wore more than one outfit. Media-savvy Lady Gaga, for example, arrived in a black lace bodysuit under a vast black taffeta overskirt. She changed into a silver sheath with an asymmetric wing extension. To perform her Grammy-winning song, “Shallow,” she dazzled in a jewel-encrusted catsuit. Gaga was upstaged though. Fashion-conscious rapper, Cardi B wore “Venus,” an extraordinary costume designed in 1995 by French designer/showman, Thierry Mugler. A black wand of a gown with an enormous “clamshell” satin tutu was a challenge for Cardi B to baby-step the red carpet, but it looked so sensational that it nearly caused a riot as the photographers went berserk. The beautiful, publicity-seeking 26 year old star donned another Mugler costume to perform a burlesque-inspired number from her Grammy-winning “Album of the Year.” The glam Grammy red carpet acknowledged all the current high fashion trends: a lot of white, sometimes in exaggerated silhouettes, plenty of sparkle, especially silver, a few fine feathers and some frothy confections of sheer tulle. 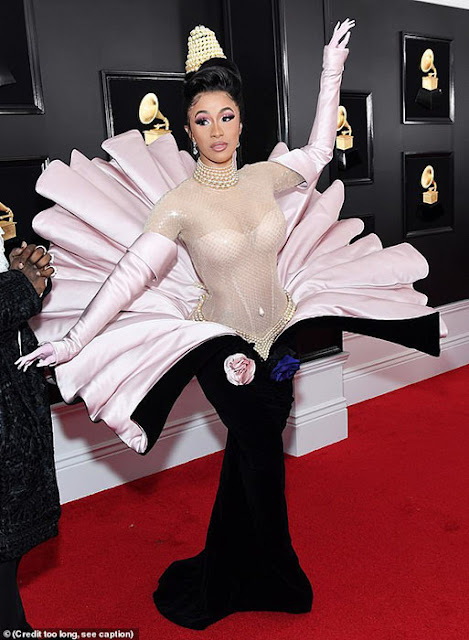 Cardi B wearing 1995 Thierry Mugler clamshell showstopper. Anna Kendrick & Valerie Macon, Jennifer Lopez & Lady Gaga. 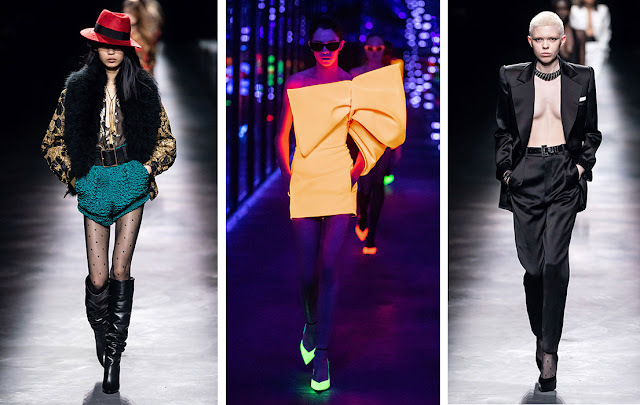 Sculptural shapes on Kylie Jenner, Cardi B and Heidi Klum. 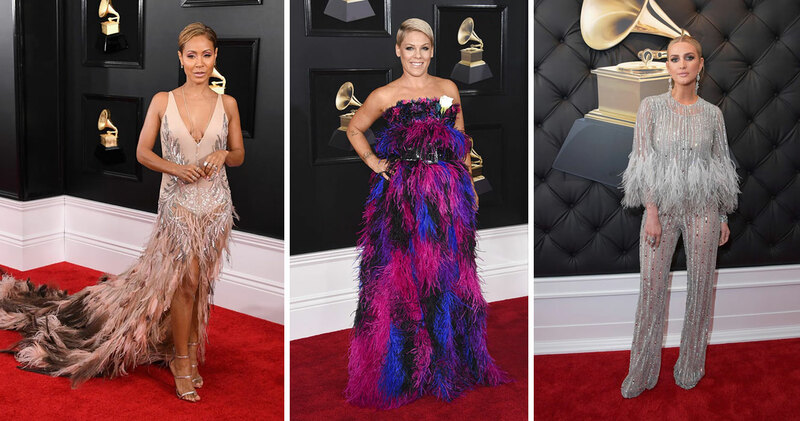 Jada Plunkett Smith, Pink and Ashlee Simpson in fine feathers. Sheer tulle on Rhianna, Bebe Rexha and Kacey Musgraves. SZA, Lady Gaga and Dua Lipa in dramatic white and black and silver. The annual Oscar Awards show is billed as “Hollywood’s Biggest Night.” The recent 91st celebration, sans a host, didn’t seem very “big” at all, just a plodding presentation of gold statuettes. The show came to life only twice: the opening musical recall of Queen and the eagerly-anticipated duet by Lady Gaga and Bradley Cooper. Otherwise, over-long “Thank you” speeches kept the pace at slow turtle speed. However, there was enough daring and/or appropriate fashion to satisfy fashion-watchers like me. Trends? Not really. More like a free-for-all. Black and white. Lady Gaga’s full-skirted black gown by McQueen allowed all attention devoted to the enormous Tiffany diamond necklace, value $30 million. Also wearing black were Allison Janney, Barbra Streisand (with a knitted beret) and Amy Poehler. White lent an incandescent glow to Regina King, Nadine Labaki and Amy Adams. Many shades pink were in the spotlight, though not a new story, for sure. Looking pretty in rosy reds and pinks were Helen Mirren, Gemma Chan, Jennifer Hudson, Kacey Musgraves and Julia Roberts. The most interesting fashion news was the appearance of some very special sculptural shapes that referenced grande haute couture silhouettes, recalling Balenciaga and Christian Dior at their peak. Wearing these complex constructions were Angela Bassett, Sarah Paulson and Linda Cardellini. Long trains continue to be a challenge for the wearers who need assistance in keeping yards of fabric under control. Best actress Olivia Colman and Glenn Close were dragging the longest trains. I am happy to notice that over-sexed vulgarity is a bit on the wane, at last. Still plenty of sparkle, the red carpet regular, was dazzling on J-Lo, Emma Stone and Brie Larson. Dramatic black on Lady Gaga, Amy Poehler and Allison Janney. Aglow in white, Regina King, Amy Adams and Nadine Labaki. 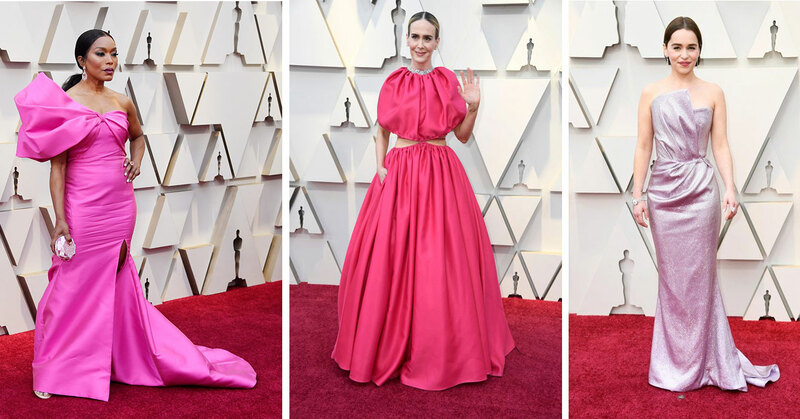 Pretty pinks on Kacey Musgraves, Gemma Chan and Julia Roberts. Red statements on Jennifer Hudson, Linda Cardellini and Helen Mirren. Soft sculptured shapes worn by Angela Bassett, Sarah Paulson and Emilia Clarke. Bothersome trains on Olivia Colman, Glenn Close and Hannah Beachler. Starry sparkles on J-Lo, Molly Sims and Emma Stone. The annual “Awards Season” always turns my attention to movie history and the great stars of the past. The most prestigious of awards are those of the Academy of Motion Picture Arts and Sciences, awards selected by industry peers. 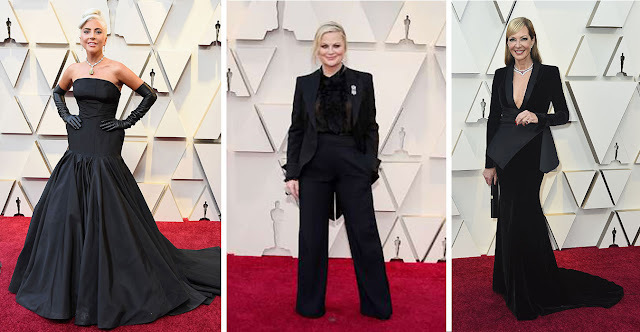 As I awaited the awards show this year, I wondered how many Academy Award winning Best Actresses over the years had been the subjects of coloring books. I found that my own collection of vintage books has only four such stars. Elizabeth Taylor won twice for “Butterfield 8” in 1961 and “Who’s Afraid of Virginia Woolf?” in 1967. She was also nominated three more times. Loretta Young donned a blonde wig and a Scandinavian accent in 1948 for “The Farmer’s Daughter” and she was also nominated once more. Bette Davis won for “Dangerous” in 1936 and “Jezebel” in 1939. She was also impressively nominated nine more times. Greer Garson won for “Mrs. Miniver” in 1943 and gave a famously overlong acceptance speech of 5.5 minutes instead of the usual 46 seconds. She was also nominated six more times. I was inspired to color pages from my vintage coloring book collection as a homage to the Oscars. 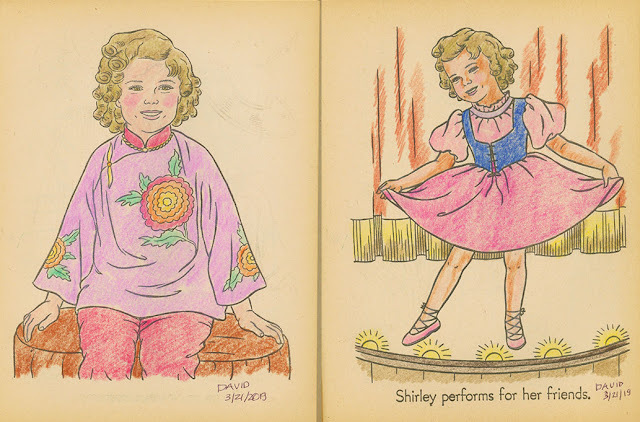 What a shame there are not movie star coloring books created today. I can just imagine coloring Meryl Streep, Lady Gaga…or even Cardi B! Oh well, I can dream, can’t I? 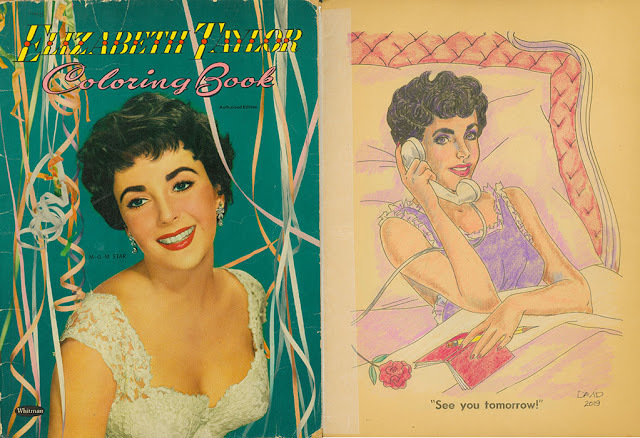 Elizabeth Taylor 1954 coloring book. 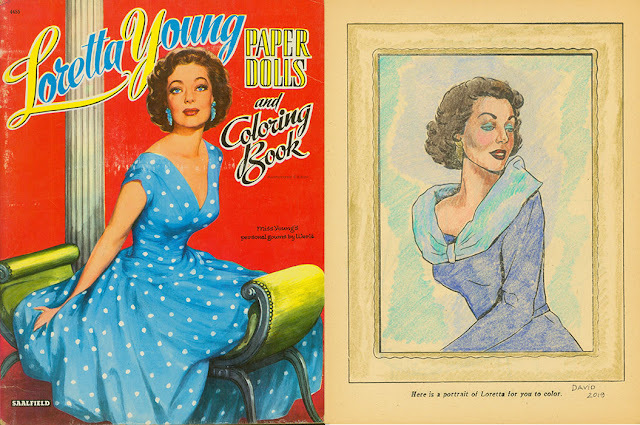 Loretta Young coloring book, circa 1955. 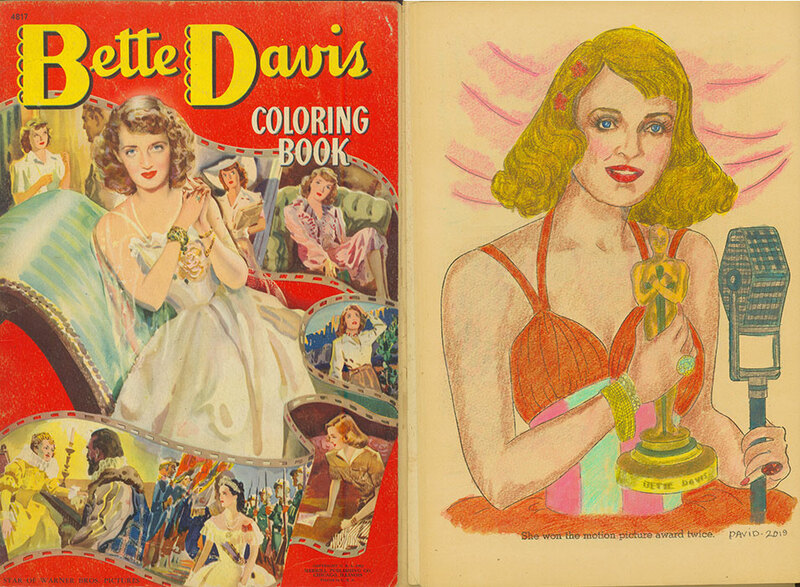 Bette Davis 1942 coloring book. 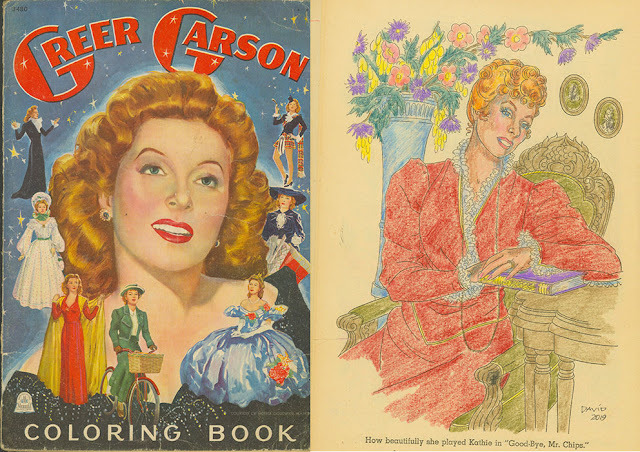 Greer Garson 1944 coloring book. In recent seasons, menswear designers seem to have been determined to dress-down men in streetstyle, activewear and denim. Now the tide is turning. 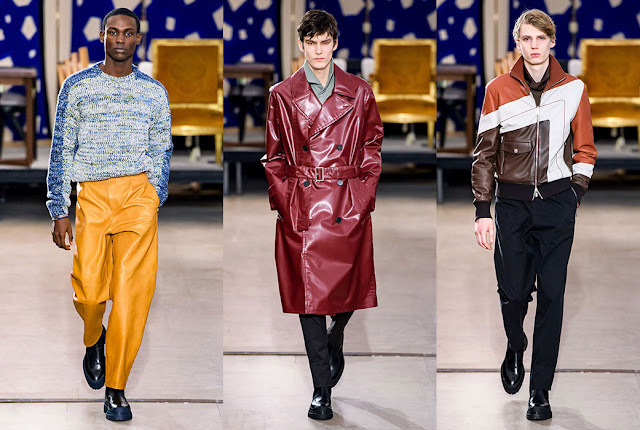 More than a few European designers of menswear have rediscovered traditional tailored suits and carefully coordinated sportswear. It’s as if many designers are aiming to update a real-man’s wardrobe. The most interesting collections are each expressing the shift in mood in their own way. 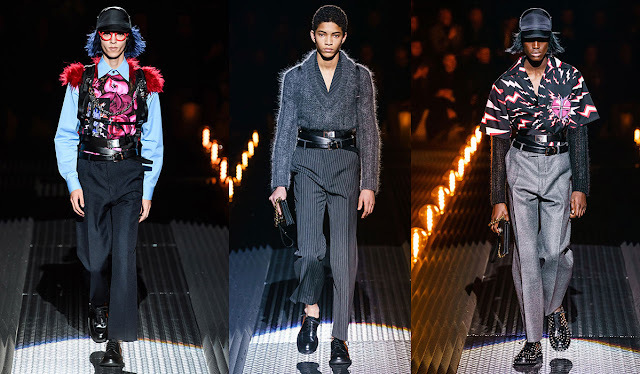 Hedi Slimane played it safe at Celine, but experimented with high pleated pants. 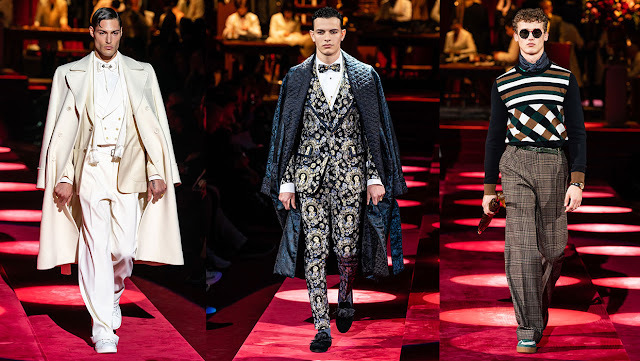 Dolce & Gabbana turned back time for ‘30s influenced elegance and pajama suits. 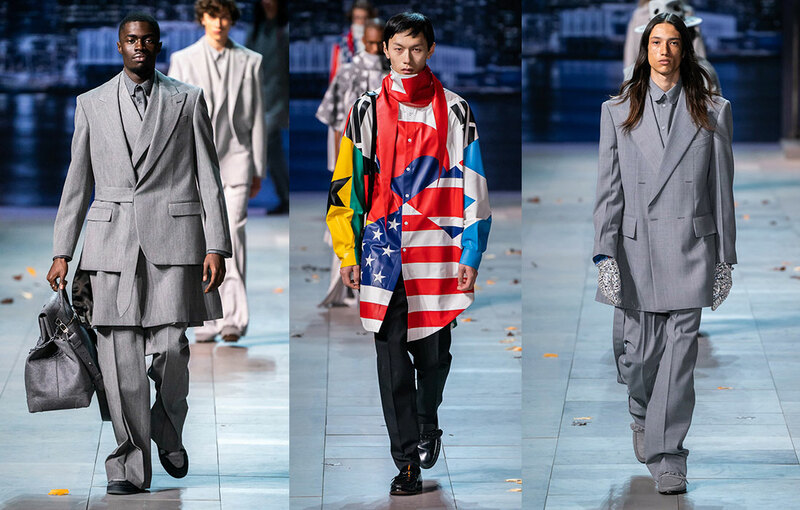 Dior Men designed suits for a new younger generation. 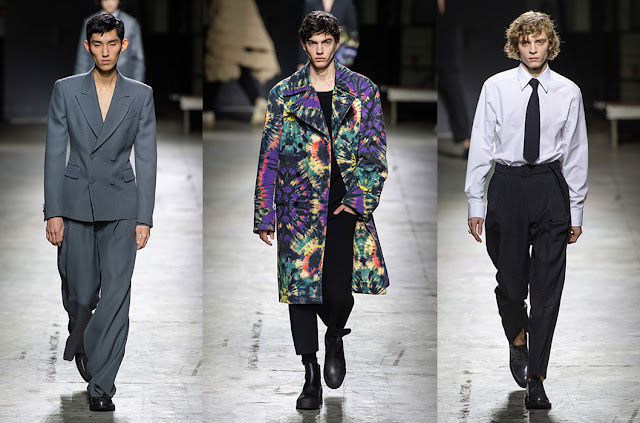 Dries Van Noten resurrected tie-dye as the recurring note in his collection. D2 Squared reworked that ol’ Grunge with cleaner colors while Etro took a trip to Fantasyland. Hermes lacked news, but sure should sell and sell. 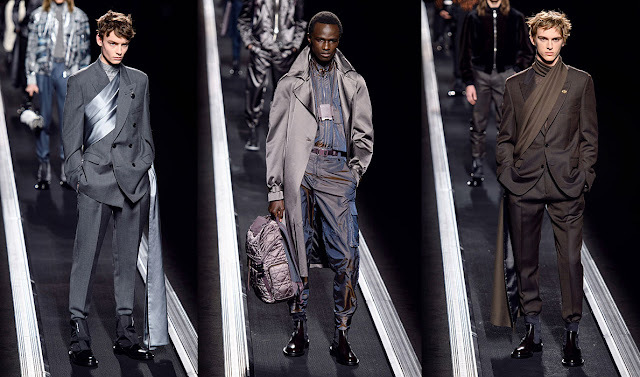 One misguided collection was created by Virgil Abloh for Louis Vuitton. The designer seems delighted to confess he’s totally un-trained (and it shows!). 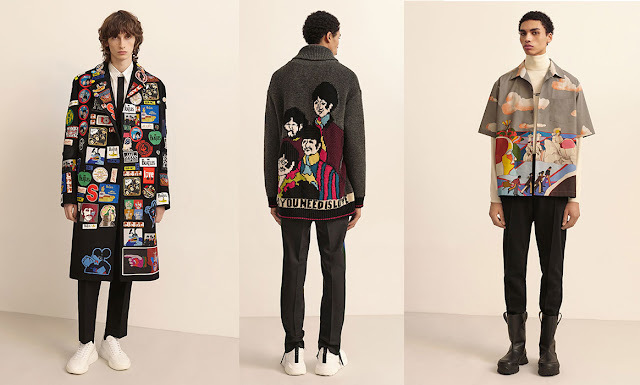 His tribute to Michael Jackson tried to reach a new customer for the venerable label, but it was a sour note. 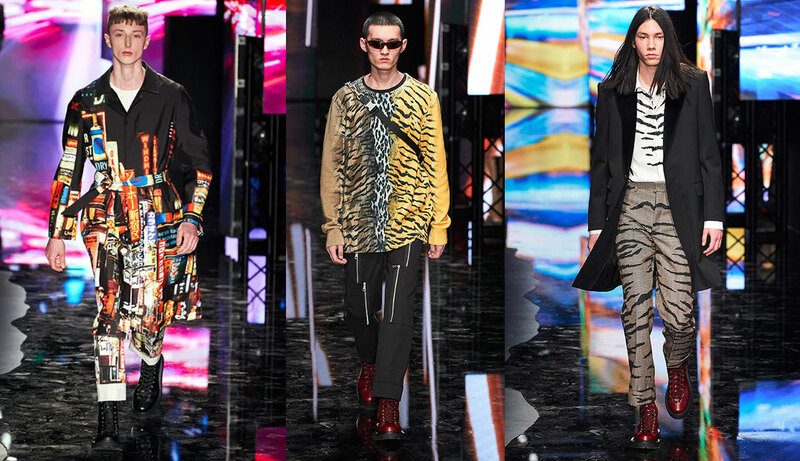 Neil Barrett reinvented “punk” as a collision of biker/school uniform/military plus neon signage prints and this season’s popular leopard spots. Prada proclaimed the dark and alienated collection was inspired by Frankenstein and The Rocky Horror Picture Show. More down-to-earth is Stella McCartney’s collection celebrating the 50th anniversary of her father’s famously psychedelic Yellow Submarine. At Givenchy, Clare Waight Keller’s lack of menswear experience made it painfully obvious that the designer of Megan’s wedding gown should best stick to womenswear and forget the flares for men too young to remember them decades ago. Virgil Abloh for Louis Vuitton. Clare Waight Keller for Givenchy. The souvenir paper doll books handed out during the annual convention are always a thrill to collectors attending and those who register to receive the Absentee Package. I was excited to be invited to create one of the many souvenir books for this year’s convention in Kansas City, MO. July 3-6, 2019. 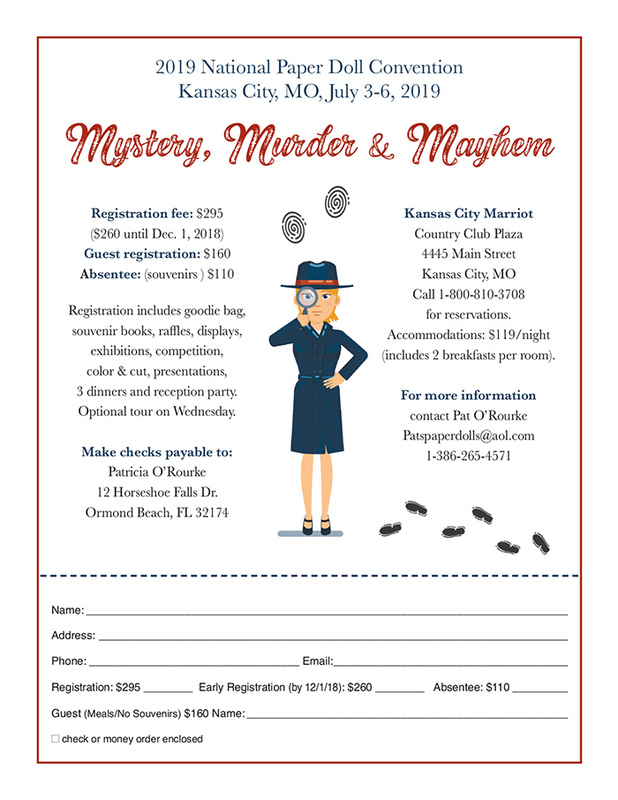 The theme is “Mystery, Murder & Mayhem.” I have chosen to represent the marvelous mystery-comedy by Dashiell Hammett, The Thin Man starring suave William Powell and sophisticated fashion plate Myrna Loy. So successful was the first film in 1934 that five sequels followed. 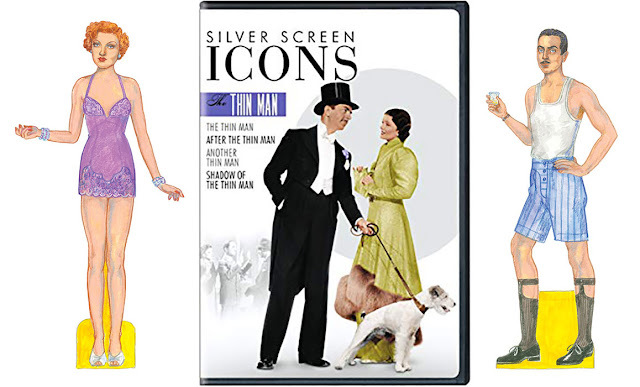 Martini-imbibing Nick and Nora Charles (and their dog, Asta) are ideal paper dolls and Nora’s super-chic wardrobe by MGM designer, Dolly Tree, is Hollywood glamour personified. To register for the convention or to order the Absentee Package for $110.00 contact Pat O’Rourke, 1-386-265-4571 or email Pat. Nick and Nora Charles paper dolls for “The Thin Man” convention souvenir paper doll book. DVD compilation of all six films in the series, available on amazon.com. What’s my next big paper doll book project? Jenny Taliadoros and I are collaborating on a multi-doll book, RETRO HOLLYWOOD FIESTA! It will celebrate the historic World War II years when President Roosevelt initiated the “Good Neighbor Policy” honoring our Latin American allies. The government suggested that the movie industry make some films to promote south of the border countries as an alternative to war torn European culture. The studios met the challenge with Down Argentine Way, Week-End in Havana, That Night in Rio, Fiesta, Holiday in Mexico, Nancy Goes to Rio and more. Music was often provided by Xavier Cugat’s band. Carmen Miranda, with her tutti-frutti headdresses came to symbolize the carefree, colorful, Latin American musical comedies. That is the mood and mode I’ll be representing in “Retro Hollywood Fiesta!” The paper doll book will be released by Paper Studio Press later in 2019. Inspiration and research for “Retro Hollywood Fiesta!” paper doll book. Fashion has lost a genius designer. May he rest in peace. 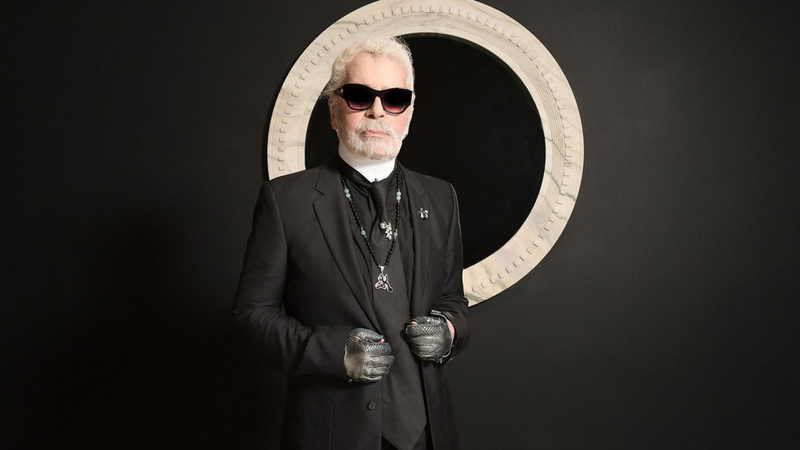 Karl Lagerfeld, one of the 20th century’s greatest designers. 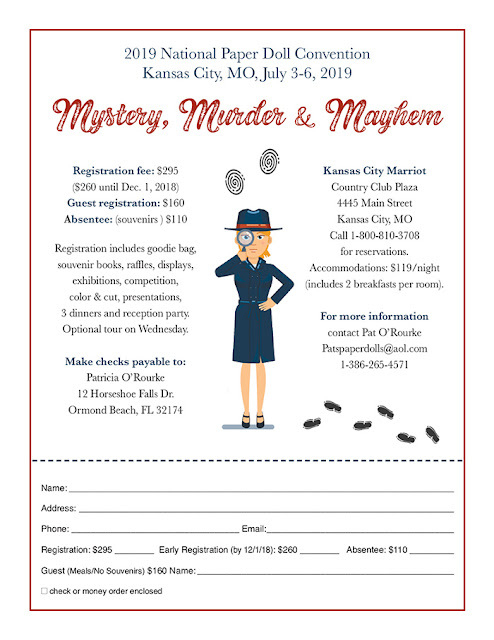 Join us in Kansas City for the 2019 Paper Doll Convention!